VoterMarch, a not-for-profit grassroots organization for voter rights, founded on Nov. 14, 2000. Today's announcement of the settlement of the 2004 Republican National Convention civil cases is the culmination of 10 years of work to protect the freedom to dissent from the Bush administration's war-mongering policies. The National Lawyers Guild's Mass Defense Committee organized the criminal defense of the more than 1800 people arrested during the Convention, providing pro bono lawyers and legal support which resulted in dismissals or acquittals for over 90% of those taken into police custody. Following the criminal cases, the Guild organized civil rights lawsuits on behalf of those wrongfully arrested and detained, providing legal counsel through its members and affiliated attorneys to vindicate those rights. The settlement agreed to by the City and the plaintiffs does exactly that. We are pleased that a substantial portion of the attorneys fees from this settlement will be dedicated to the continued defense of the right to dissent and to express that dissent in a public forum. Speaking out about the government's infringements of fundamental human rights is an obligation of every citizen, and is a right which the Guild continues to defend and will defend in the future. 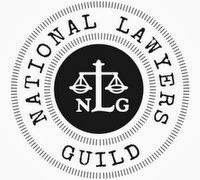 The National Lawyers Guild, founded in 1937, is the oldest and largest public interest/human rights bar organization in the United States. Its headquarters are in New York City and it has chapters in every state. On behalf of the more than 1800 people who were unjustly arrested during the 2004 RNC, we are pleased to announce a global settlement of all but a handful of the lawsuits for false arrest and violation of first amendment rights. The City has agreed to pay out $18 million in this settlement. This is the largest settlement of civil rights cases arising from mass arrests of protesters in US history. The City will pay $6,400,000 to 430 individual plaintiffs; $6,600,000 to settle a class action on behalf of approximately 1200 people; and $5,000,000 to attorneys for the individual plaintiffs. The attorneys will be contributing 10% of their fees to a fund to protect the free speech rights of New Yorkers into the future. At the time of the 2004 Republican Convention, the invasion of Iraq had entered its second year. New York City had been chosen for the Convention site to align the nominee with the site of the tragic attacks of 9/11. It was widely known that the Convention would attract many Americans who opposed the war and other Bush administration policies, and intended to make their views known in a peaceful manner, just as people had protested at past political conventions. Despite projected fears that peaceful protests would be disrupted by “anarchists,” and the Bloomberg administration’s mistaken conflation of large peaceful protest activity with terrorism and violence, nothing of the kind materialized during the days of protest around the Convention. Instead, hundreds of peaceful protesters were rounded up in mass arrests at numerous locations around the City during the Convention, most of them on one day, August 31, 2004. On that day, the first large group of protesters gathered near the World Trade Center site to conduct a peaceful sidewalk march that had been called by the War Resisters League, a pacifist organization – the protest had been featured in that morning’s newspapers as a place people could go to peacefully express themselves. The protesters discussed their plans with the police before setting off on their march with police approval, but 227 were arrested en masse before they had walked half a block on the Fulton Street sidewalk next to St. Paul’s Church, across the street from Ground Zero. The mass arrest is depicted on police videos that we have reproduced for distribution. In 2012, Federal District Court Judge Richard J. Sullivan held that all 227 had been illegally arrested: “The Court therefore finds that the police lacked probable cause to arrest the Fulton Street protesters.” A thousand more people were arrested later that same day in similar mass arrests. The Bloomberg administration made a calculated decision to conduct preemptive arrests without probable cause, knowing that taxpayers would eventually pay for that decision. Everyone arrested was held at a Pier on the Hudson River that had previously been used as an MTA bus repair facility – cyclone fencing was used to create cages in a warehouse-like area still covered with grease and brake fluid. Signs still hung from the walls warning workers to wear hazmat suits. There was no heat, no place to lie down, and a handful of port-a-potties. Protesters were held in these disgraceful conditions for up to 48 hours before being transported to court facilities – long enough to exhaust them and keep them off the streets until after George Bush was re-nominated. Many left with skin rashes and respiratory problems, and some developed more serious medical conditions. Even during the course of the RNC, a state court judge held the City in contempt for detaining arrestees longer than permissible. Almost everyone arrested on charges of disorderly conduct and parading without a permit had their charges dismissed, or were acquitted at trials. We expect many of them to be available to speak directly to the media about their experiences. Hundreds of people filed individual federal civil rights lawsuits. A class action was also filed. The Bloomberg administration viewed the claims as a political challenge to policing policies Bloomberg and Police Commissioner Kelly were intent on defending, just as they have defended their stop and frisk practices. They deemed peaceful protesters, “anarchists,” and terrorists as a blended “tri-partite threat” to the City. But no terrorists were to be found among people protesting on the sidewalks of New York during the RNC. Instead, the City’s policies fell on people who, at worst, caused some crowded sidewalks and snarled traffic. Just as the NSA has justified massive collection of information on millions of citizens on the grounds that it will help catch terrorists (although there is no evidence it has done so); and just as widespread surveillance of the private lives of peaceful Muslim New Yorkers has been justified on the same grounds; the surveillance of activists and the arrests at the RNC are a disgraceful example of disregard for the right to speak freely, an infringement of civil rights for partisan political purposes. Dissent has nothing to do with terrorism, and the RNC experience shows that widespread intelligence gathering on citizens paves the way to curtailing free expression. The arrests of 1800 people had nothing to do with fighting terrorism, and everything to do with a political agenda to silence protest while a political party nominated its candidate. According to news reports, the City spent more than $16 million of taxpayer money defending these lawsuits. The transparent objective of dragging the cases out until Bloomberg left office has now been revealed, at a cost of $18 million more. The architects of the 2004 RNC policies are now gone – as a new Mayor takes office in New York City, this settlement stands as an emblem of the failure of those policies, from their initial inception to this settlement’s conclusion. While the settlement announced today covers the vast majority of RNC cases, the City has yet to resolve some of the most egregious cases. We are hopeful that the new administration will work swiftly toward a just result in these cases, so that this tainted legacy of the Bloomberg administration can finally be put to rest. Lastly, the new administration must seek to actively protect, rather than suppress, the exercise of free speech and association in this great city. Those who peacefully dissent from the actions of their government serve as the conscience of our community. They must be encouraged, not preemptively arrested, caged or otherwise discouraged or abused. Copyright 2000-2014; VOTERMARCH is a trademark name of Voter March, Ltd.. Simple theme. Powered by Blogger.